Award-winning ColorMark® instant touch up covers gray roots instantly, so your hair color always looks perfect. It’s not a mascara or a crayon. 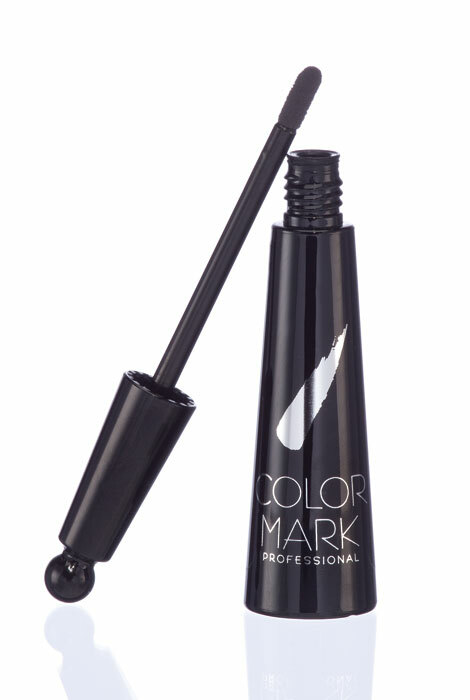 ColorMark® is real temporary liquid hair color that dries in a minute and stays on until shampooed out. 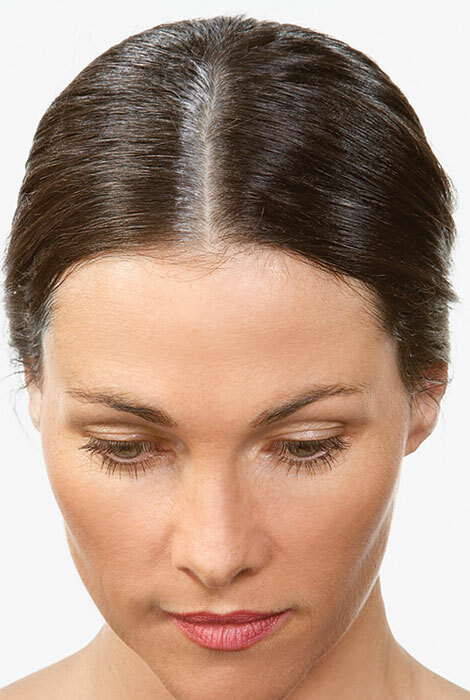 Root touch up goes on easily and never flakes or rubs off, even after brushing. Special comb for easy hairline application included. 0.15 fl. oz. Not for use around eyes. Apply on dry hair. Use light, short strokes around part. At temples and hairline, slide the ColorMark comb under the hair, then apply. Dries in a minute-Reapply as needed-Brushing won’t affect color result-Can be used over styling products-Can be followed by hair spray. 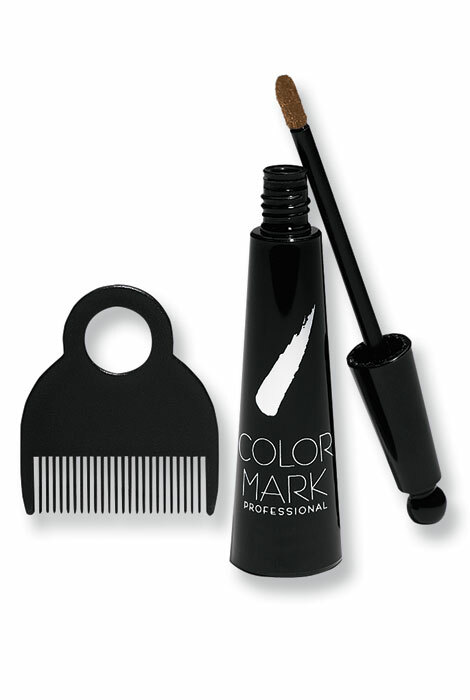 Remove ColorMark before applying permanent hair color. Not for use around eyes. To Remove From Skin: Wipe clean with damp cotton swab. I love this product. 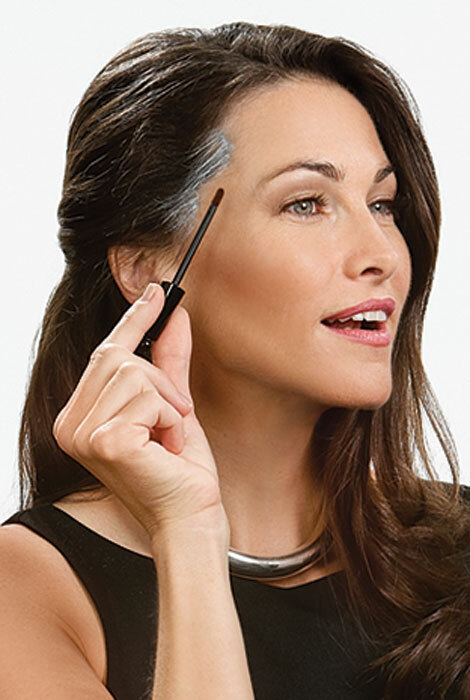 It covers my grey edges beautifully and does not come off until it is washed out. I take it with me when I go to the beauty salon and have my hair stylist apply it for a very natural look. Love this simple little product to use between trips to the hairdresser. It works and is quick and easy to use. Would not want to be without it. I've been using this product for years and I love it. But recently, in the past few months, it seems the quantity has changed. One bottle used to give many applicatons, lasting me months at a time. But the recent bottles I've purchased, barely have enough content for one or two applications. It seems that the bottles are only partially filled. This is most disturbing, because the price remains the same, and it is not cheap. I wonder if anyone else has anyone else noticed this. PERFECT for my grey curly hair! I am getting a lot of grey coming in around the crown and temples of my hair. I have naturally curly hair which is coarse to begin with but then my curly grey hairs are even more so. The color stuck great and lasts til my next washing which isn't every day with curly hair. Used the dark auburn and blended really well. Stretched the time between coloring. Do use the comb and try not to get on scalp as much as possible. I scoop up the hair in the comb and apply directly on the comb area to minimize staining of skin. I love this quick and easy way to touch up gray at the hairline and temples. I'm just beginning to go gray and I don't want to color my hair, as I want to see if I will be comfortable leaving it natural when I have a larger percentage of gray. In the meantime, the gray just around my face looks aging to me. So this touchup is perfect for blending it in until I have enough gray to decide if it's becoming to me. I have dark brown hair and the dark brown shade is perfect. It goes on very easily and dries quickly and looks natural. I highly recommend it. Good way to put some streaks in your hair whenever you are in the mood and it washes out. Perfect in between salon appointments! I've been using "Dark Brown" to fill in my roots until my next color appointment at the salon. It's easy to use, looks natural and even lasts through perspiration from my tough exercise workouts! Kudos for a terrific product! Color Mark hides the grey in between colorings or it s good as a strategy for transitioning from color to gray. It goes on easily. Two days after getting my hair colored the temple area needs touchup. Works very well in covering up my roots. I suddenly have some grey at the temple so I want to try this out. Sounds like just what I need. I've used it before and like it. It colors instantly, and the dark brown color is a perfect match for my hair. I have "silver threads among the brown" which I don't mind. What I do mind is having short, wiry gray hair around my face. With this product, it's all gone w/in two minutes and looks completely natural. Am old now. As I color my hair my temples always come in white. I found the shade that I need - which is rare! I think it might be useful. Whether it is or not... only time will tell. I purchased it to cover my recurring tiara. I have successfully used this product in the past. The touch-up hair color is long lasting after applying until time to shampoo your hair. The color blends into hair very well. This works great on the grey spots in between trips to the hairdresser - highly recommend! I have used this product successfully before. Because it works well in my hair. This product has always worked for me. It's a great product to cover up grey roots. Simple to apply and easy to travel with. I’ve used this product successfully for YEARS! Better than all I’d tried. When my hair starts growing out, I would like to cover up the gray rather than wait till I get to the salon. I would think that it is obviious ???? To cover gray the week before I go for color. For in between hair coloring to just do the root area. I want to prolong salon touch ups. I had used it before and it covers the gray very well. Plus, it does not fade until I wash my hair. To cover my gray in between my dye. I have Dishwater blonde hair. What color would you suggest I try? BEST ANSWER: Thank you for your question. 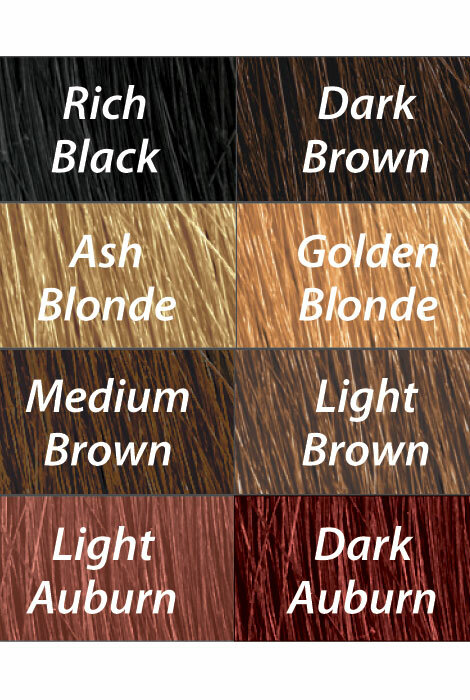 We would recommend the ash blonde color. We hope this information will be of help to you. Do you have anything that is more permanent than this? That doesn't wash out? BEST ANSWER: Thank you for your question. No, we do not currently offer an item such as this that is permanent. We hope this information will be of help to you.